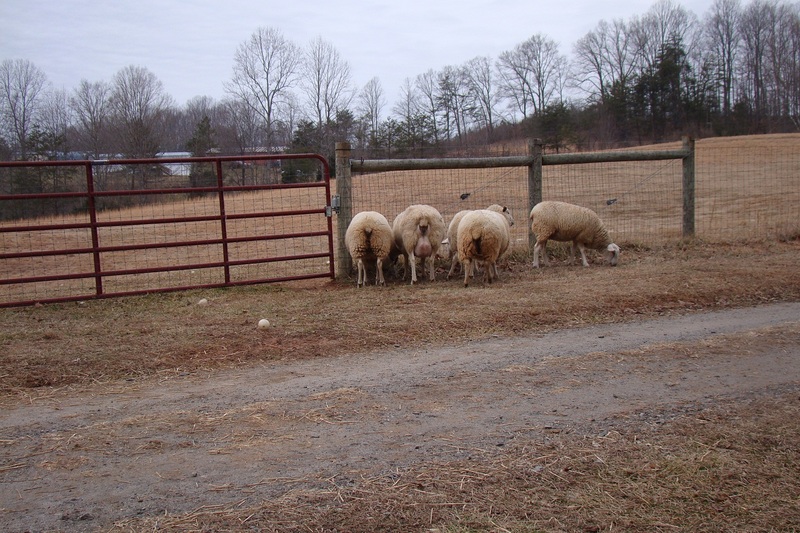 Sometimes we need to move a single sheep from our large pasture to the small one across our driveway. For instance, to keep an eye on an injury or to separate our ram from the ewes. Even with our border collie Jenna’s help, it’s near impossible to separate just one from the flock so we usually just have her move them all to the small pasture where it’s easier to control their movement. From there we just let them out one by one until the only one left is the targeted sheep. It’s a potentially dangerous move because the flock is left to run amok until we’ve finished sorting. Luckily, they see the pasture gate and head straight for it. This shot is from the outside of the large pasture. Good sheep!